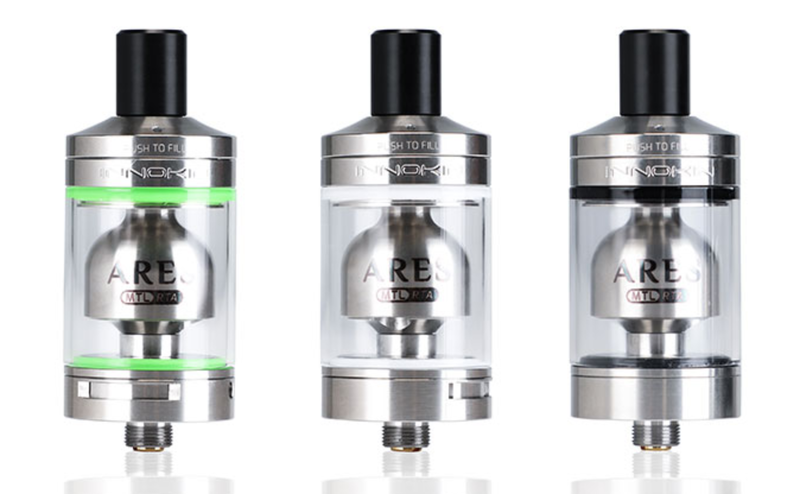 If a Kayfun tank is too expensive for your budget, the next best thing is the Innokin ARES RTA tank, which packs in some of the best flavor around. This tank is essentially a godsend for MTL vapers. Not only is it affordable, but it is also super simple to build and it kicks seriously intense flavor. Kayfun tanks are monumentally expensive; I’m talking $119.95-expensive, and for many, this is simply too much cash to drop on a vape tank. I own the Kayfun V5 and Kayfun Prime. They’re both excellent, kicking out some of the best flavor in the business. In fact, the Kayfun V5 is the tank I use more than any other, simply because it has brilliant flavor and runs at low wattages. Flavor – Tanks Designed With Lower Wattage Vaping In Mind Work Best With Higher-PG Juice; Higher PG Juice is More Flavorful. The above points are why I use MTL tanks like the Kayfun a lot; they save me money, provide great flavor, and they’re kinder to my mod’s battery life. Case in point: I recently got almost three days of battery life from my Kayfun and a dual-cell mod on a trip to Amsterdam. Not everyone will want to pay $119.95 for a Kayfun tank. I know it took a lot for me to eventually buy one; three figures for a vape tank is a big ask. My favorite? The Innokin ARES. 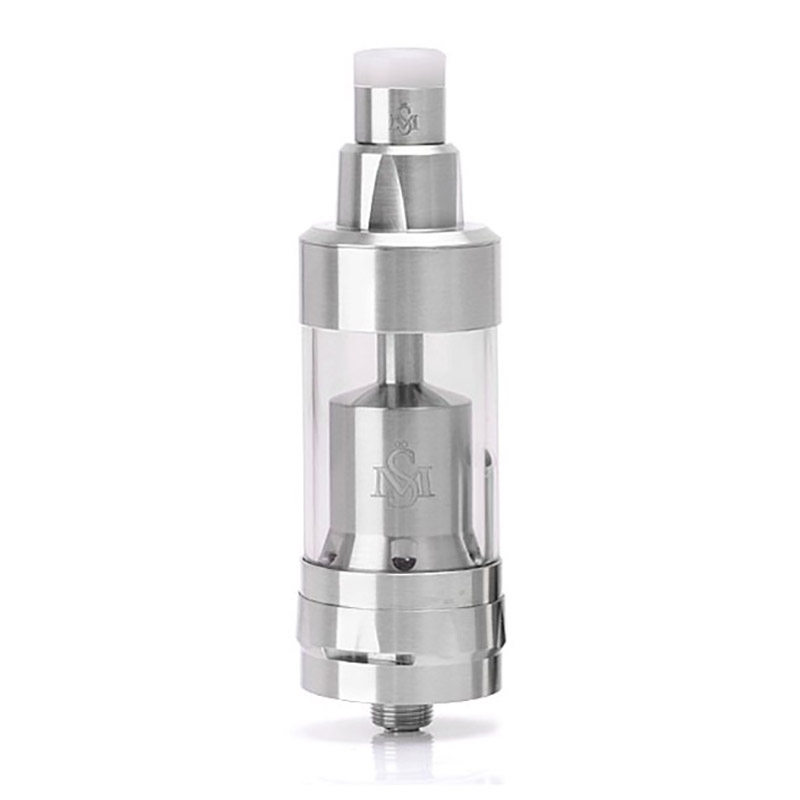 The Innokin ARES, a rebuildable, MTL RTA tank. And the reason for this is simple: next to the Kayfun V5/Prime, the ARES is just about the best rebuildable MTL RTA around right now. Why’s that? Simple: flavor, the deck, how it vapes, and overall performance. It’s all 100% legit, even when compared to the significantly more expensive Kayfun V5/Prime. 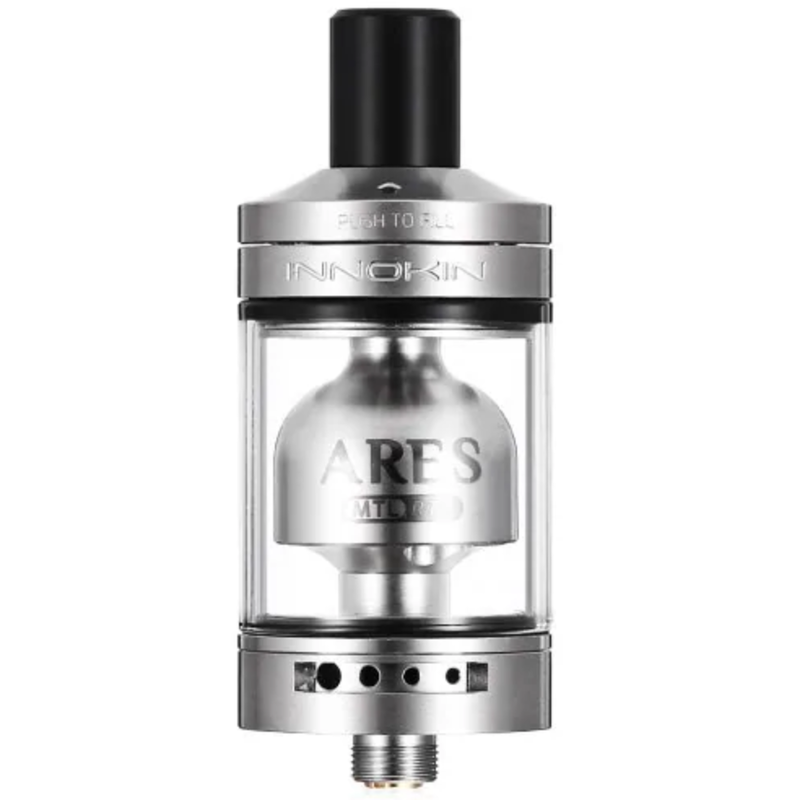 The first thing is the price: at $34.95, the Innokin ARES is $80 cheaper than a Kayfun tank. This makes it WAY more accessible for anyone that’s interested in a high-end MTL vaping experience. Second is the way it looks. The Innokin ARES is one handsome chap; the design is kinda old-school, but I actually think it looks all the better for it. 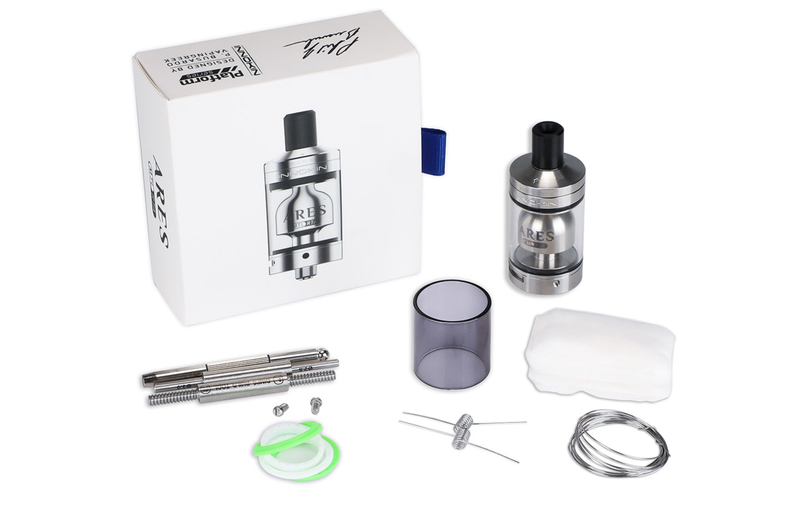 The ARES tank holds 4ML of E Juice and has a super-easy to use two-post single terminal deck. 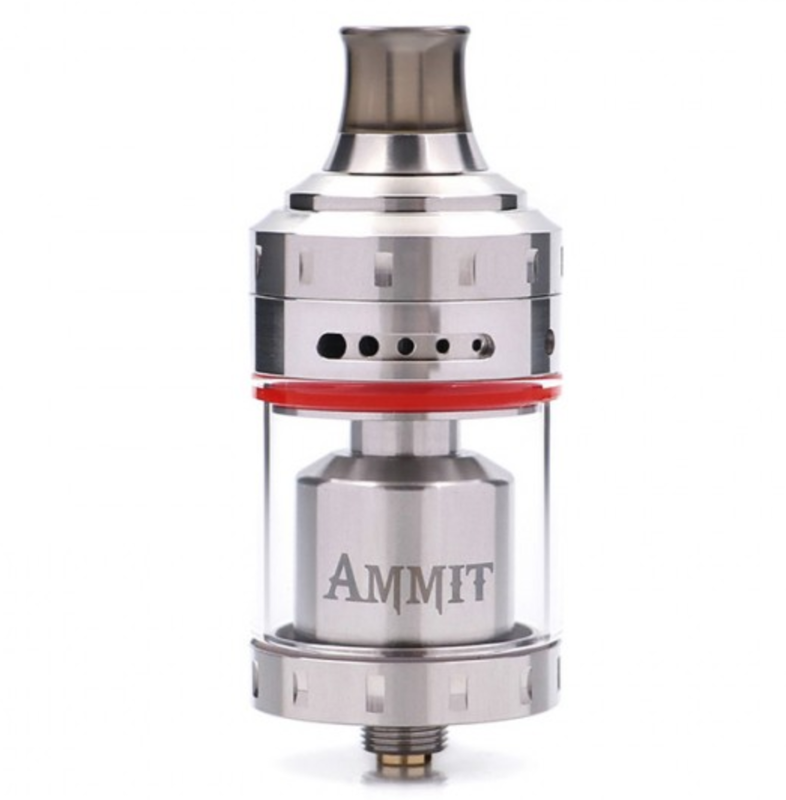 It runs on single coils, as you’d expect from an MTL RTA, and once everything is installed you will not have any issues with leaks. Quite a bit as goes. Innokin even includes a couple of coils as well, which is always nice (not enough vape brands do this). The two guys behind this tank (Phil Busardo & Dimitris Agrafiotis) are perhaps two of the most well-known MTL vapers in the industry. This is why Innokin turned to them to help create this tank. They know their stuff, they live and breathe MTL vaping, and the MO here was simple: make a brilliant MTL vape tank that competes with more expensive MTL RTAs like the Kayfun. The result is the Innokin ARES which is by far and away one of my favorite tanks for MTL vaping right now. The flavor on the Innokin ARES is intense. Super intense. And this is achieved via the tank’s chamber design; it’s nice and tight and this ensures flavor really pops on the draw. The chamber also ensures that there are zero leaks when vaping. And as anyone that’s used RTAs in the past will know, an RTA that doesn’t leak is a very special thing indeed. This is perhaps one of the easiest RTAs to set up in the world right now; there is literally no learning curve. 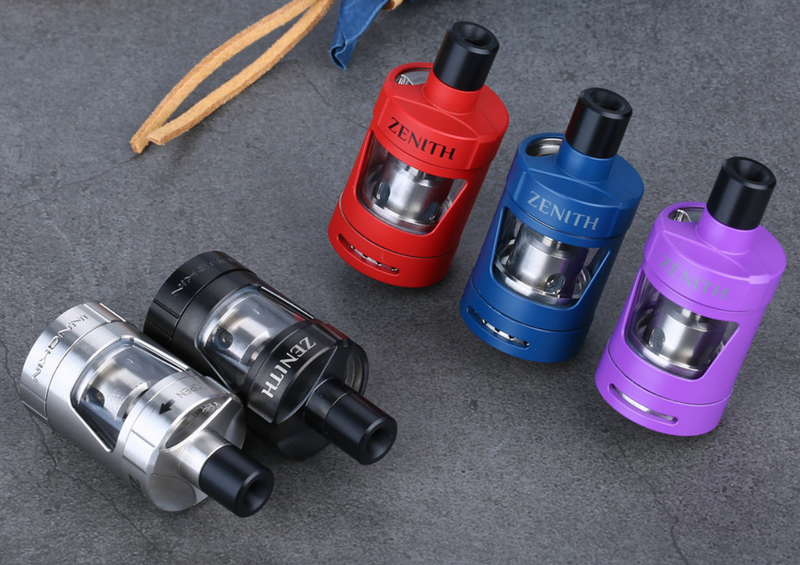 Plus, Innokin provides some seriously detailed instructions, as well as an exploded view diagram, so anybody – regardless of skill level – will be fine assembling this tank. Here’s a video from the tank’s designer that shows you, step-by-step, how to install a coil and wick the Innokin ARES. I also really dig the included 1.0ohm coil; the vape is warm and the flavor is super-intense, especially with higher PG juice. Once you have the coils installed and wicked, you’re pretty much good to go. Next, set the airflow. You got a couple of settings: 1) a tight, cigarette-like draw; and 2) a slightly more open MTL draw. Exceptional, basically. The Innokin ARES is a power-house when it comes to flavor. All the juice I’ve put through it tasted better than nearly every other tank I own – including the Kayfun Prime. 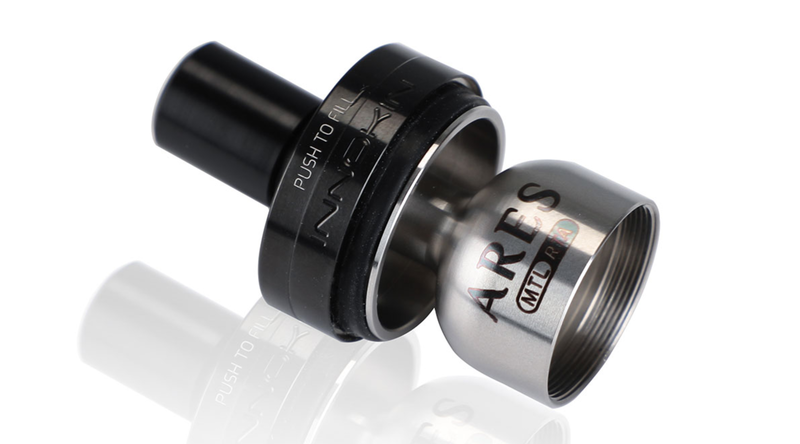 This insane flavor might have something to do with the ARES’ diffuser, which ensures the air hits the coil nice and directly. This, in turn, results in smooth, consistent flavor. I was honestly blown away by just how good the flavor was on this tank. I run mine in and around 18-20W, depending on the build, and this ensures almost two days of battery life from my mod. But the thing I really want to stress here is the flavor: it is INSANELY good. I’ve tested a bunch of MTL tanks this year and nothing else comes even remotely close to the Innokin ARES in this context. If you haven’t MTL vaped before you’re in for a real treat. Why’s that? 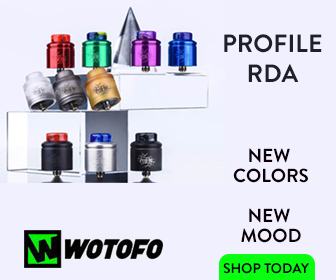 Simple: it’s a wholly different sensation to your standard sub ohm tanks. Yes, it’s more like smoking. But you also get way more intense flavor, and the overall sensation (taking it in your mouth, then breathing it in) is such a pleasant change of pace from constant big-hittin’ RDAs and vape tanks. And because it’s a rebuildable tank, you’re going to save a fortune on coils. All it takes to run this thing for three months is a $5.00 pack of organic cotton and a coil. The two coils it comes with should last you 2/3 months as well. And that, ladies and gentlemen, is what you call economical vaping. Chuck on the fact that using this tank will double (or triple) your mod’s battery life, as well as burn through around 50-60% less E Juice a month, and you’ve got yourself a seriously compelling vape tank. It isn’t the only decent MTL vape tank around, however, as you can see inside our guide to the Best MTL Vape Tanks Right Now. But it is definitely up there with the best of them! 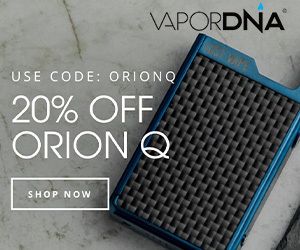 Best Place To Buy Innokin ARES?